First registered as a trademark in 1966 and still in production today, Mr. 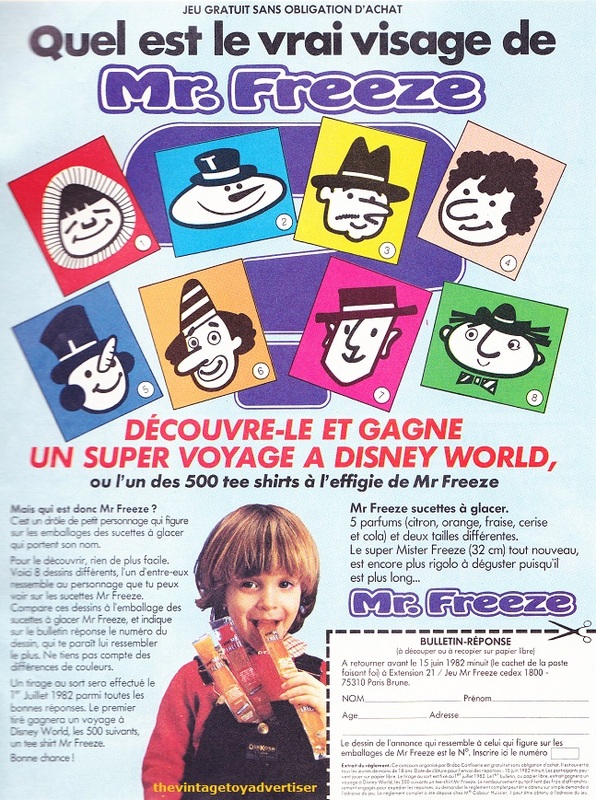 Freeze products are a well-known and popular brand. 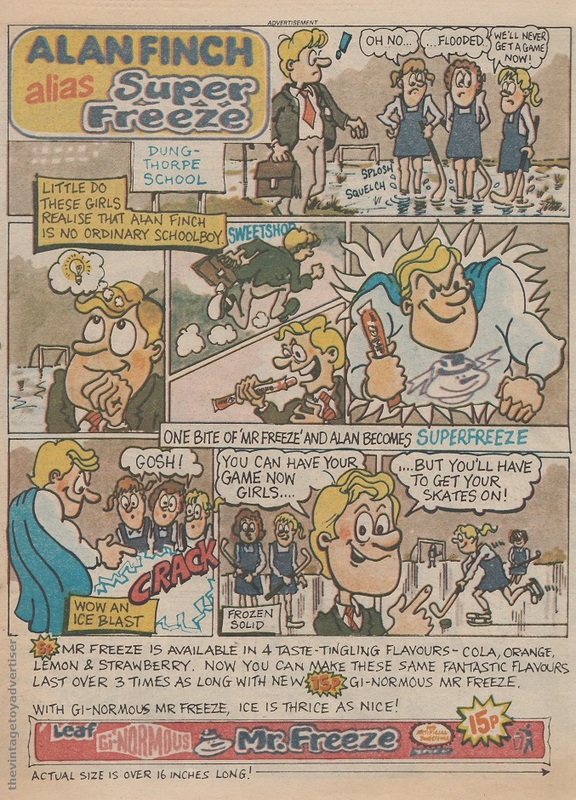 Mr Freeze ‘Superfreeze’ cartoon strip ad. UK. Eagle. 1984. US. Marvel Star Wars. 1980. This entry was posted in MR. 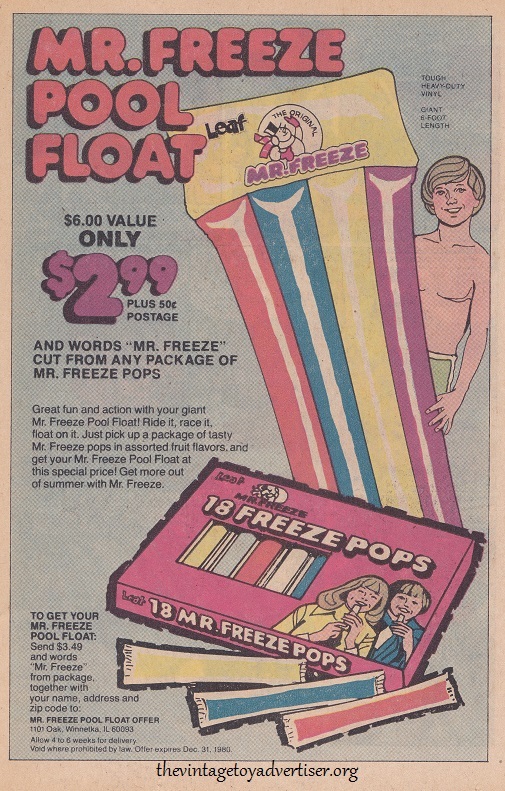 FREEZE and tagged 1980s toys, Mr Freeze, Mr Freeze freezepops, Mr Freeze Pool Float, Mr Freeze popsicles, retro ads, thevintagetoyadvertiser.org, vintage Mr Freeze, vintage toy adverts on December 10, 2013 by The Vintage Toy Advertiser.